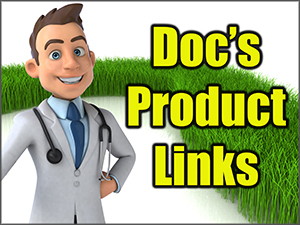 Understanding lawn fertilizer NPK Numbers, Nutrients, and which are best. To help prove this point we’ll link to a few articles below. Why slow release granules are bad? They are designed for the MASS consumer and conform to STATE regs so they can be sold nationally. Example: If California bans Phosphorus, Scotts will take it out of their main product line so it can be sold there, as well as in other states. They are designed to be SLOW release meaning that they DON’T work… until it rains or you water.You have NO CONTROL. They get SPREAD OUT unevenly. Only certain parts of you lawn get portions of the nutrients. They may be WORKING when you don’t want them to be working. (Just try picking it up.) Put it down too late or during a drought? Not good. If you get heavy down pours, they can be washed away and pooled. Easy risk of burning and spills. Get a bunch of rain… then a drought… you get burn. 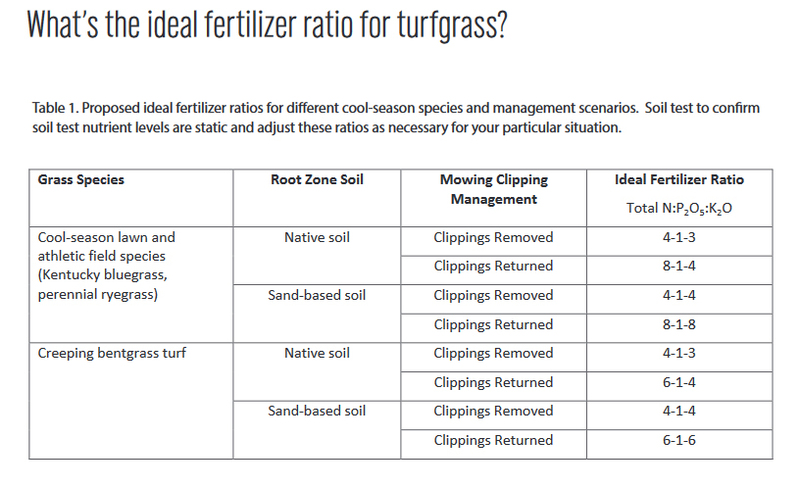 It’s the RIGHT NPK ratio for all lawns… PERIOD. It contains a WIDE variety of both MACRO and MICRO nutrients. 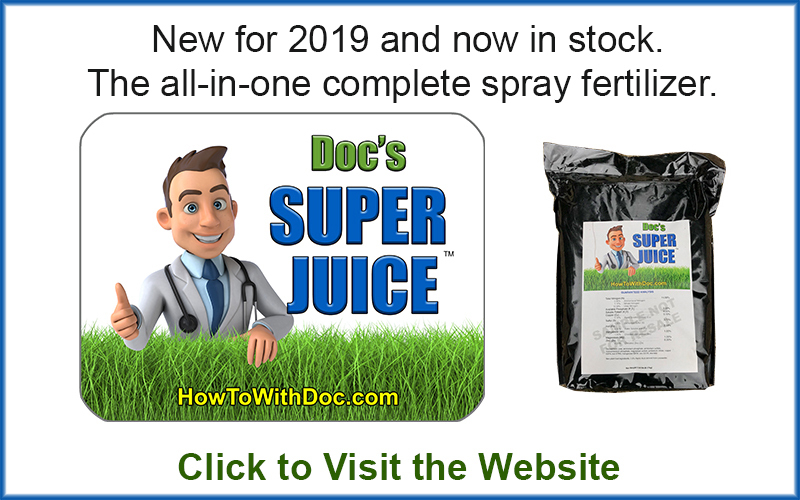 It contains both Humic and Fulvic acids. YOU control when your lawn gets the nutrition and food it needs. When you spray it… it’s feeding right away. YOU can STOP feeding when needed. Have a drought? Cold weather sneak in? You can mix in other products such as bug control and weed control. Even application. 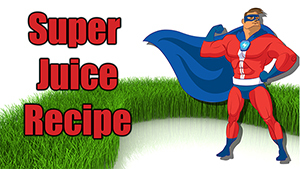 Unlike granules that only reach certain spots on your lawn, Super Juice covers ALL the foliage and all the ground. You’re constantly supplying a LIGHT amount of nutrition and food to your lawn throughout the growing season. Do you eat the whole bottle of vitamins twice a year, or do you take one a day? Below are just a FEW of the 100s and 100s of research papers, articles, and general postings from experts in the TURF field. 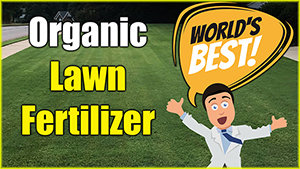 In general, fertilizers with 3-1-2, 4-1-2 or 5-1-2 or similar ratios supply nitrogen, phosphorus and potassium in the correct proportions for healthy grass growth. 16–4–8, 12–4–8, and 18-24-6 are commonly recommended for lawn fertilization. Nitrogen is a part of all living cells and is a necessary part of all proteins, enzymes and metabolic processes involved in the synthesis and transfer of energy. Like nitrogen, phosphorus (P) is an essential part of the process of photosynthesis. Involved in the formation of all oils, sugars, starches, etc. Helps with the transformation of solar energy into chemical energy; proper plant maturation; withstanding stress. Effects rapid growth. Encourages blooming and root growth. Potassium is absorbed by plants in larger amounts than any other mineral element except nitrogen and, in some cases, calcium. Helps in the building of protein, photosynthesis, fruit quality and reduction of diseases. Potassium is supplied to plants by soil minerals, organic materials, and fertilizer. Magnesium is part of the chlorophyll in all green plants and essential for photosynthesis. It also helps activate many plant enzymes needed for growth. Soil minerals, organic material, fertilizers, and dolomitic limestone are sources of magnesium for plants. Important for reproductive growth. Aids in root metabolism and helps in the utilization of proteins. Essential for the transformation of carbohydrates. Regulates consumption of sugars. Part of the enzyme systems which regulate plant growth. Sources of zinc are soil, zinc oxide, zinc sulfate, zinc chelate. Humic acid has a unique carbon matrix which includes a high concentration of trace minerals and organic acids. Humics work to enhance the plant’s ability to take in essential nutrients and to improve soil structure. It’s a carbon-rich soil amendment that can positively affect the soil chemistry as well as the soil microbial activity. One of the biggest things it does is help plants use applied nutrients more efficiently, particularly phosphorus and nitrogen. It also can increase the water-holding capacity and water retention in the soil, which in turn increases retention of the soluble chemical fertilizer in the soil. Fulvic acid works in the plant to increase the pore sizes of the root system, enabling the plant to take up more and larger nutrients that are available in the soil. Nitrogen N Component of nucleic acids, amino acids, proteins, chlorophyll, and coenzymes. Affects shoot and root growth, density, color, disease resistance, and stress tolerance. Phosphorus P Component of nucleic acids, membranes, adenosine triphosphate, and several coenyzmes. Affects rate of seedling development, maturation, and root growth. Potassium K Activates enzymes used in protein, sugar, and starch synthesis. Important in maintaining turgor pressure in plants. Affects drought tolerance, cold hardiness, and disease resistance. Calcium Ca Occurs in middle lamella of cell wall where it helps to “cement” walls together. Important in cell division and membrane function. Calcium deficiencies result in poor root and shoot growth. Magnesium Mg Important component of chlorophyll, activates many enzymes. Magnesium deficiencies result in foliar chlorosis (yellowing). Sulfur S Present in certain amino acids, proteins, membranes, and coenzymes. Sulfur deficiencies result in chlorosis. Iron Fe Important in chlorophyll formation, photosynthesis, and nitrogen metabolism. Iron deficiencies result in chlorosis of young leaves. Manganese Mn Present in chloroplast membranes and functions as enzyme activator. May be involved in resistance to some diseases. Zinc Zn Involved in chlorophyll synthesis and amino acid synthesis, involved in synthesis of the growth hormone indoleacetic acid. Boron B Plays a role in DNA synthesis and translocation of sugars. Copper Cu Essential for photosynthesis and a component of certain enzymes. Molybdenum Mo Component of enzyme that reduces nitrate in plants. Chlorine Cl Plays a role in photosynthesis.